These may quite frankly be the stupidest Transformers I've ever purchased due to the completist sickness. These are exactly the same figures I already own but in a 2-pack from CostCo that Marmot picked up for me in Florida and sent to the Cowlands. 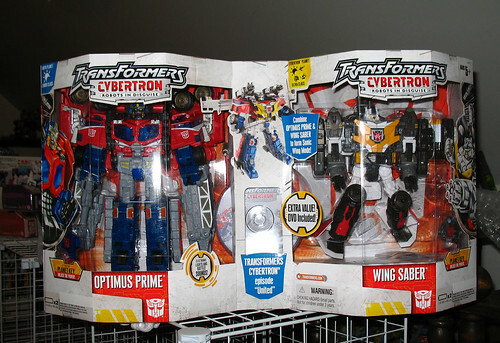 Hasbro didn't even bother to repaint them at all. 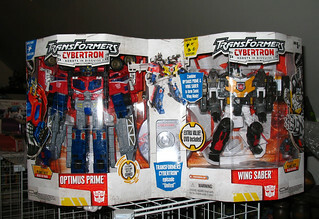 Costco Exclusive Cybertron Optimus Prime and Wing Saber arethe 1805th and 1806th Transformers that I've acquired.